An advanced RO water purifier with a wall-mountable design, KENT Prime is best suited for Indian homes and offices. The water purifier also comes with a water level indicator and an inbuilt TDS controller that delivers 100% safe and pure drinking water. 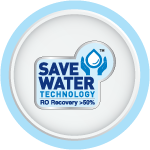 Conventional water purifiers waste almost 80% of the water as rejected water and retain only 20% as purified water. KENT Prime has an advanced save water technology that helps in retaining 50% of the water as purified. The water purifier also comes with a separate water storage tank that stores the rejected water which can be used for different household purposes. The top quality water purifier retains the essential minerals in water with the help of the patented Mineral ROTM technology using the TDS Controller. 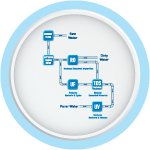 The patented technology ensures that you receive 100% safe and clean drinking water. 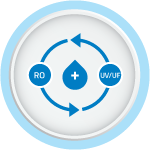 KENT Prime uses a double purification of RO + UV / UF which helps in removing even dissolved impurities such as bacteria, chemicals, salts and. The double purification technology also ensures that the water you receive is 100% safe for consumption. The advanced water purifier comes with a high storage capacity of 9 litre so that you get clean water even in the absence of electricity. The water purifier also has a high purification capacity of more than 15 L/hr which provides purified water at a faster rate. 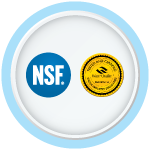 The water purifier has been given top quality certifications such as WQA (USA & India), NSF (USA) and ISI (India). 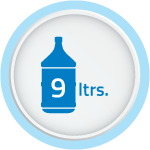 The top quality certifications ensure that the water purifier provides 100% safe water and is trusted by millions across the world. Kent Grand Plus RO water purifier.